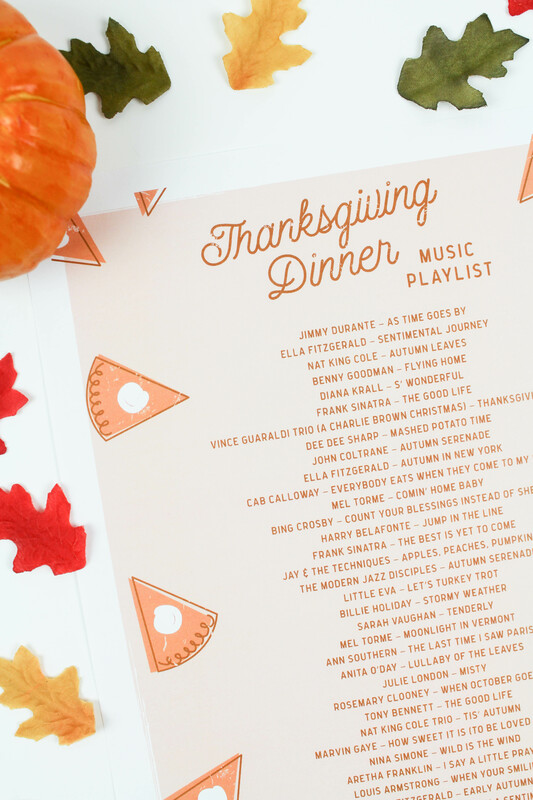 When thinking about Thanksgiving dinner and being surrounded by family, I try to think of great background music that will not only enhance the mood, but also not distract from it at the same time. I also love tying in some old classics that you know the grandparents will really enjoy too 😉 There are some on this list that you might recognize, some that are perfectly Thanksgiving appropriate, and maybe even a new fave or two. 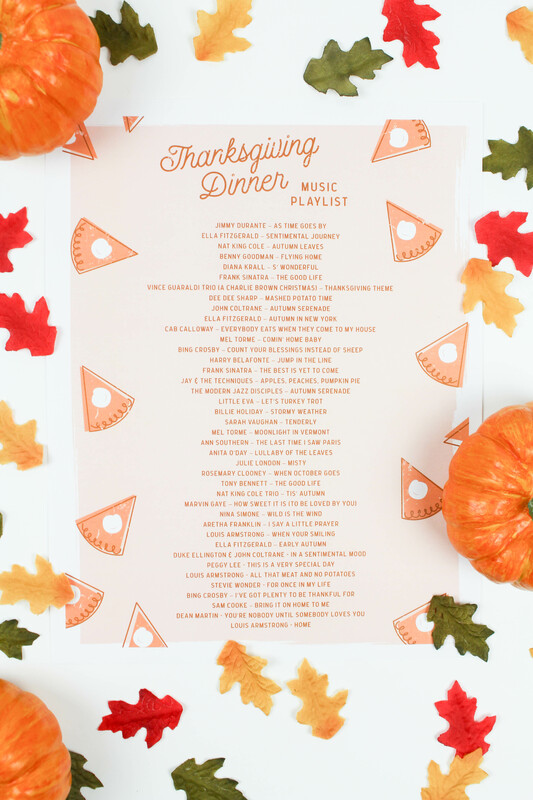 You can download the printable Thanksgiving dinner playlist file or pin the image below to save for later. 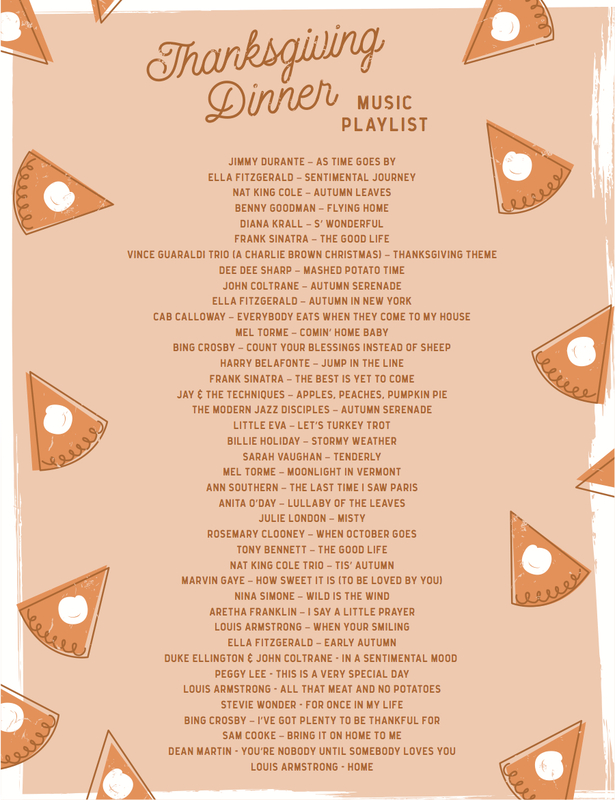 You can also listen to it directly on Spotify below! 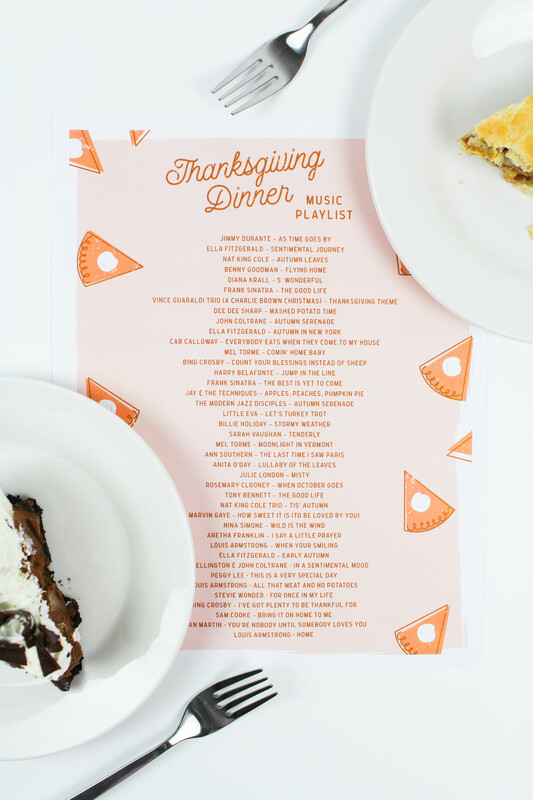 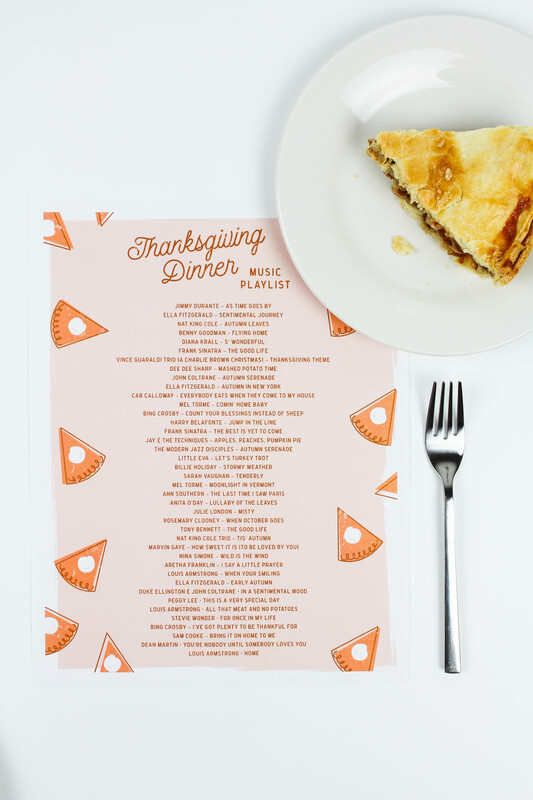 Let me know if you guys will be listening to this printable Thanksgiving dinner playlist along with me next week!